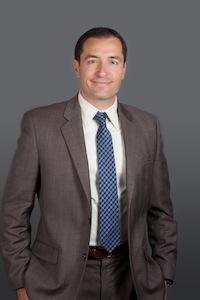 Jacob Sapochnick is a San Diego, California area lawyer who handles Immigration and international law matters. Originally from Israel, Jacob moved to the US to pursue an LLM in International and Comparative Law. He started practicing with a Mid-sized firm, worked hard, and soon realized that Solo Practice was the way for him… He started with only a very rudimentary plan, and needed to make things happen fast. And he did it. in just 8 years he’s grown his practice to Seven Lawyers and seven support staff, mostly using innovative social media strategies. He has the largest Facebook community for lawyers with 88,000 followers and growing. He publishes two legal blogs , a youtube channel, and a small publishing arm to support the firm’s media strategies. Jacob takes a strongly systems-oriented approach to running his practice, and to the marketing of the business. That includes identifying and contacting guests, preparing for interview, and the production, post-production and publishing processes, much of which he has outsourced. His main law-firm Web site at:http://www.h1b.biz/. and sign up to join the Early Bird VIP list for the Power Podcasting for Lawyers course which will open its doors on February 1st.